The Louis Vuitton Editions shows the astonishing dimension of the work of Oliviero Toscani. 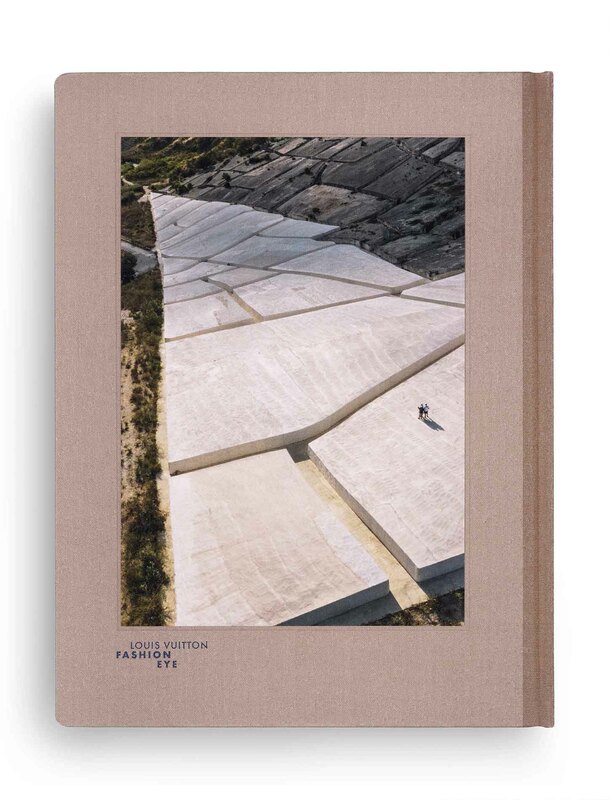 Far from advertising campaigns, the book recounts the clash between his photography and the landscape shaped by Alberto Burri, Cretto. From the use of the image as a shocking medium, from the clash between conventions and its provocative staging, from the exploitation of the media as an exhibition platform, there will be no word here. 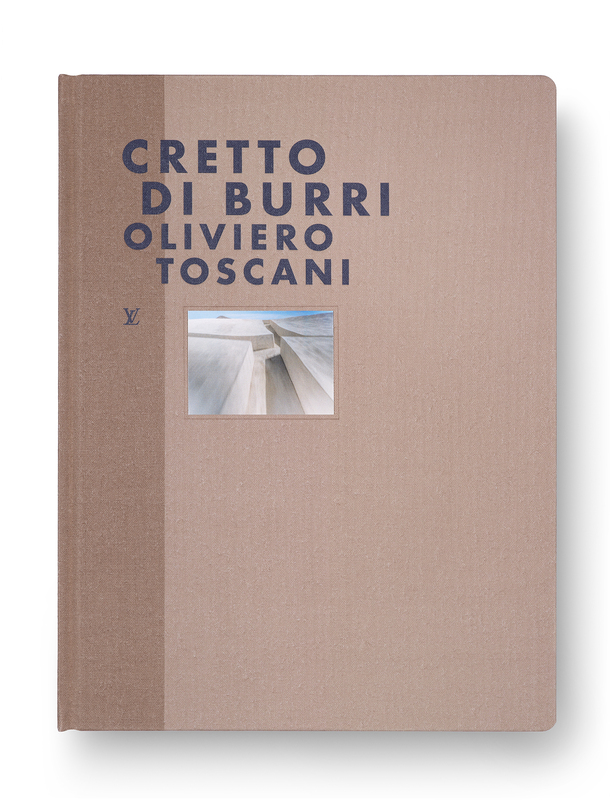 Cretto di Burri rather symbolizes a confrontation, a love duel between the landscape shaped by Burri and moving photography. 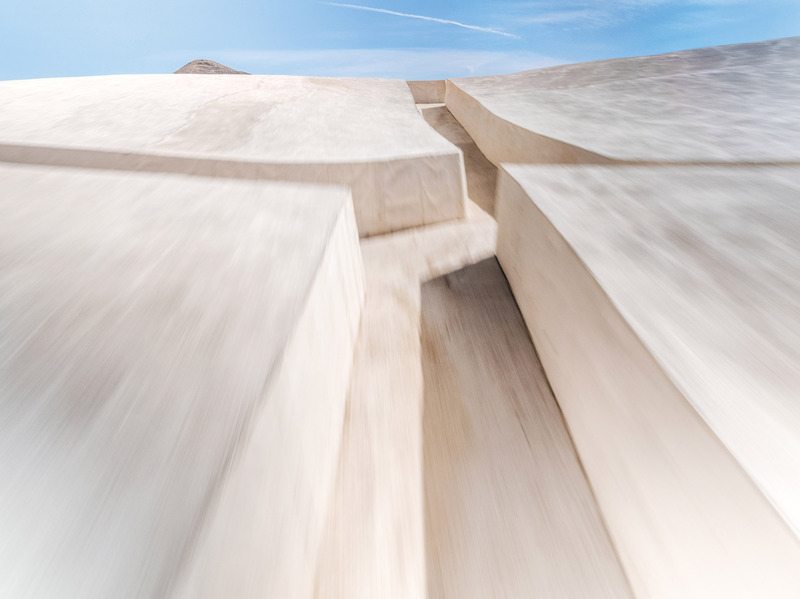 His photography is close to the minimalism of Burri’s works of the 1970s. 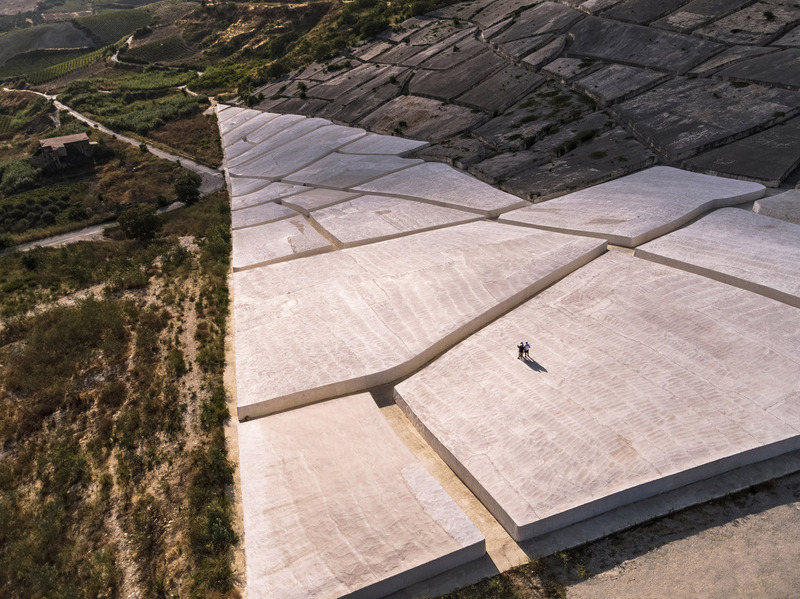 Toscani looks at the corridors,grid of lines, turns, curves and textures of Alberto Burri’s work. The photographer thus adheres to the coherent whole of the work (large white spans forming a path) while playing with its components (crackles of time, shadows, dust of zinc oxide, thickness of the paint) . In this part of the series, Toscani oscillates between poetry and documentation. 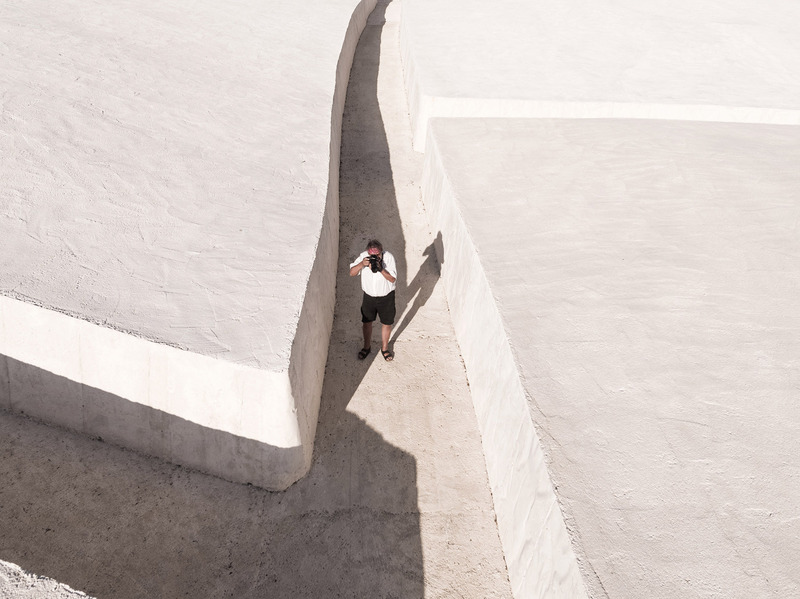 It shows with simplicity the geometric potential that photography offers to whoever knows how to play a work and recalls the fascination of simple, refined works, such as Spiral Jetty of Robert Smithson or To the islands of Agnès Martin. 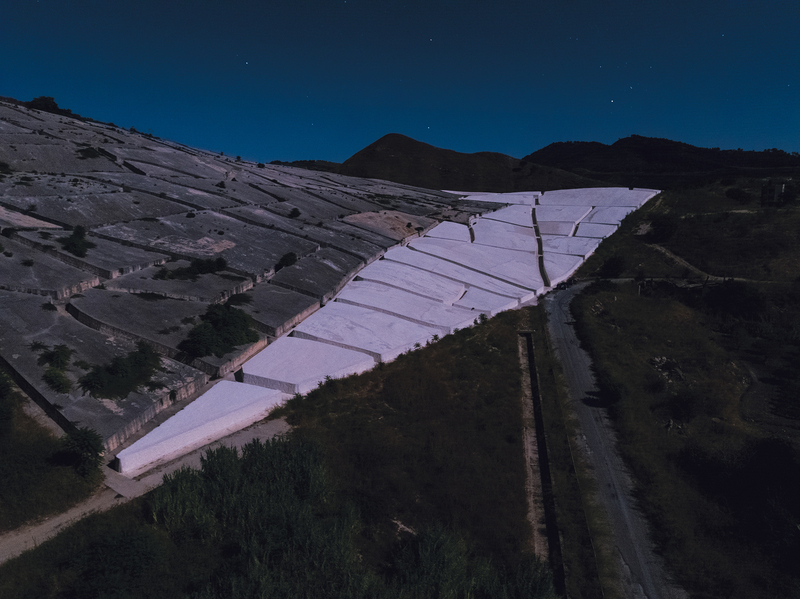 The agitation of the photographer comes, let us assume it, from this pitfall between the history carried by the place – destroyed by the earthquake of January 1968 in Sicily and rebuilt in 2005 – and its physical experience. Toscani is thus, he needs to seize the work upside down, to go against it, to reverse it, to disturb its immobility.